The all new Dragon box db5 is here and is faster and more powerful with the android 5.1 Lollipop os, am logic s905 quad core 2.0Ghz processor and 2gb of ram. Transforms your TV into a giant tablet pc! you could have fun playing 1000′s of different games like angry birds, candy crush or cut the rope. Maybe you and the family would like to watch a full 4k ultra high definition movie without having to huddle around the laptop. 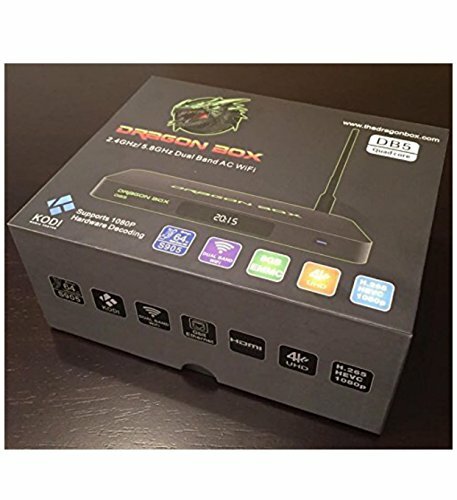 Or perhaps you have some work you need to get done, with the Dragon box you can effortlessly check your emails, work on word, excel, pdf's and even PowerPoint documents. All applications can be simply downloaded directly from the google play store.